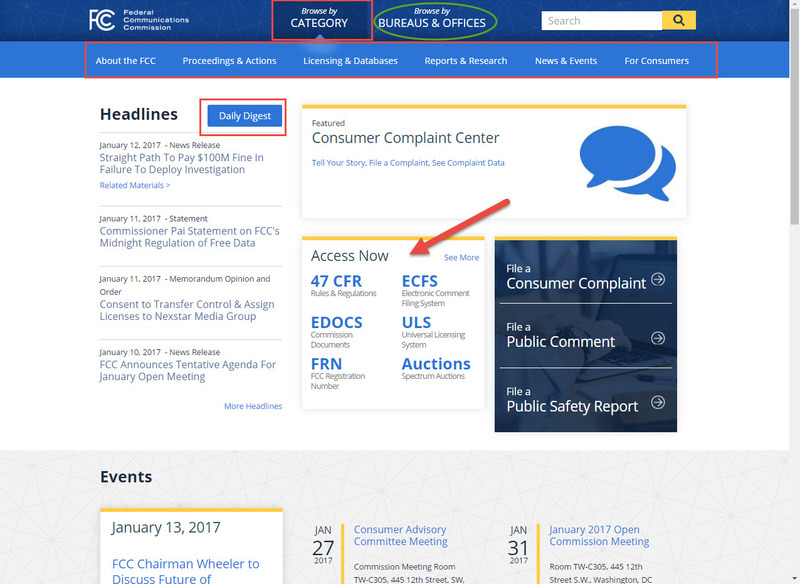 Overview of ECFS and EDOCS searching and the FCC website. The image below highlights the access points for resources available on the FCC's website. In the menu on the left-side of the guide are pages with information on search techniques for ECFS (the Electronic Comment Filing System) and EDOCS (the Commission's documents and notices that are released daily). The FCC Website Overview page provides information on particularly important FCC resources, as well as links to additional resources available in the William's Library collection.